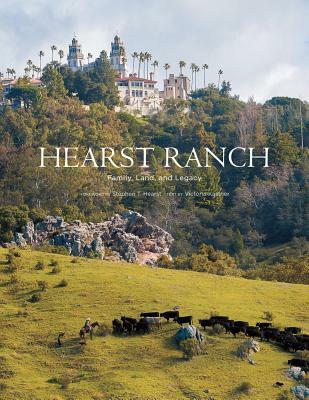 "Hearst Ranch "offers readers an exclusive behind-the-scenes tour of the stunningly beautiful 82,000-acre cattle ranch surrounding William Randolph Hearst's legendary Hearst Castle. Much of this spectacular landscape is still privately owned and has never been seen--but this book changes that. Through historical images from the vast Hearst archive and full-color photography commissioned for this volume, the Hearst Ranch and its many century-old ranch buildings and residences designed by Julia Morgan are revealed for the first time. Kastner's engaging and insightful text shares new tales of the Hearst family, of the talented Morgan and her staff, of the many colorful ranch employees, and of the countless Hollywood movie stars who joined Hearst and Marion Davies as they went roughing it out on the ranch. Featuring stunning vistas of the California coastline and dramatic scenes of the Hearst cowboys in action, this book tells an unforgettable story and provides an in-depth look at a remarkable family and their love for one of the most beautiful places on Earth.